Anyone who thinks of Frankfurt, has instantly impressive skyline in mind and very few visitors to the city is known that around the center of “Mainhattan” Frankfurt green belt, the City runs like a lifeline. Forest, meadows and rolling hills, gardens, parks, streams and ponds are habitat for a rich flora and fauna, forming an unexpectedly beautiful landscape that you can now explore with SEGWAYS ®. Also Frankfurt-Höchst with its interesting old town and impressive buildings is an integral part of our Frankfurt Tour program, which offers as part of our city Safaris with interesting variations and extras. 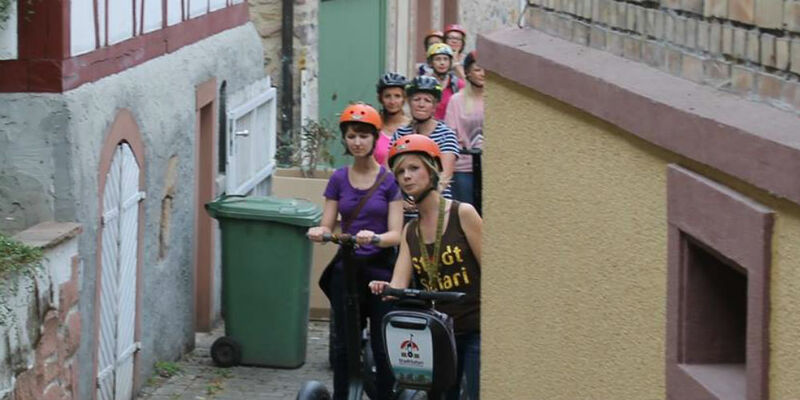 Starting point of all city Safaris is the Segway Point Frankfurt, Eppenhainerstr. 6, 60326 Frankfurt.